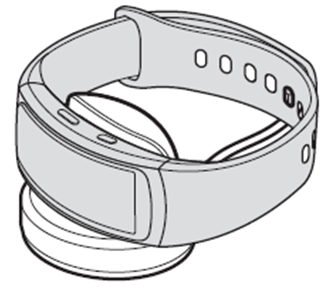 Gear Fit2: How do I Charge the Battery? Please charge the battery before using it for the first time or when it has been unused for an extended period. 4. When the Gear is fully charged, please disconnect it from the charger dock and unplug the charger from the electric socket. • Please use the original Samsung Approved charger dock and charger as the Gear cannot be charged properly with a third-party charger. This is a virtual image and for reference only. Gear S3: How do I Set the Power Saving Mode?